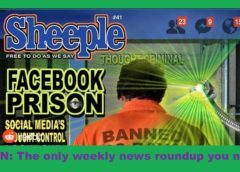 Home > Radio Show > Daniel Estulin on Bilderberg, getting sacked from RT, & much more! Broadcast February 18th, 10-11:00 a.m. Central (1500 GMT) on NoLiesRadio.org. 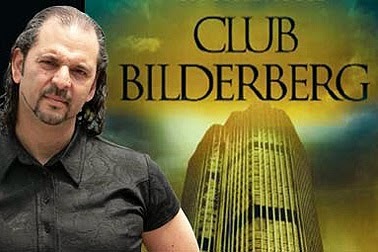 Daniel Estulin – don’t call him “the Godfather of Bilderberg” ! Daniel Estulin‘s Desde la Sombra (“From the Shadows”) on Russia Today was drawing seven million viewers per week, making it one of the most popular alternative TV shows in the world. But when Daniel did a show on how the Zionists/banksters are buying up Patagonia – the best undeveloped land in the world, and the safest place to be in the event of nuclear World War III or a planetary economic/ecological collapse – RT suddenly canceled his show and pulled the offending episode. 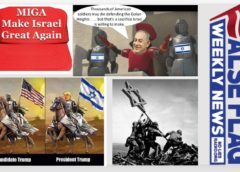 Did the Zio-bankster elite lean on RT? Or did the Argentine government, anxious to hush up the secret land sales, tell RT to quash Estulin or lose its license to broadcast in Argentina? In this interview we discuss the Bilderberg group and its relationship to the covert global power structure; the plusses and minuses of existing alternative media; the unfortunate fact that Putin and his anti-NWO allies do not have much influence on RT; the recent rash of false flags; and other hot topics. it was good to hear Daniel Estulin explaining what I have observed about RT. I used to watch RT a fair bit and find it has been completely Zionized with scum like Larry King. It baffles me how they could have allowed RT to be taken over by Russia's enemies. 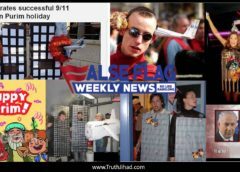 They also punished Daniel Bushell, probably because of his excellent 9/11 program that is now a hit at the AE911truth site. RT may have been a flagship in the past, but it has lost that. Sad, but true. 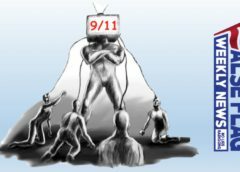 There is not a single mention of 9/11 on RT anymore. Daniel Bushell sometimes appears as a reporter, on site, with safe subjects. A big demotion from his Truth-Seeker show. I guess RT, in order to stay in the US has decided to submit to the Zionist overlords, thereby losing critical viewers and becoming a traitor to their own country. When Larry King's advert comes with his: "Ask the right Questions, Demand Answers", I push the off button. 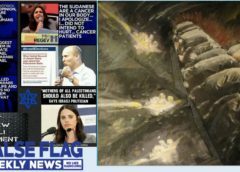 I believe the strategy of RT is appeasement until the US finally deals their own zionist parasite the death blow. Daniel Estulin woud may go Hispan Tv (Iran in Spanish) or Telesur Tv from Venezuela. Thesse Tvs have not censure ! From Heitor Vianna – Brazil.